We all love the new Harambe. We absolutely do. The new theater has taken this part of the park to a new level of theming and detail. So, I am not complaining but when my friends, the Disney Hipsters, asked me to do a piece on Harambe, I wanted to do a little reminiscing of the old water front. The back story tells us that Harambe was first built in 1420. This part of town is old Harambe and was the original fort town on the Uvumbuzi River, which not coincidentally means Discovery River in Swahili. This river will eventually lead you to the Indian ocean and was a major thoroughfare in the old days. 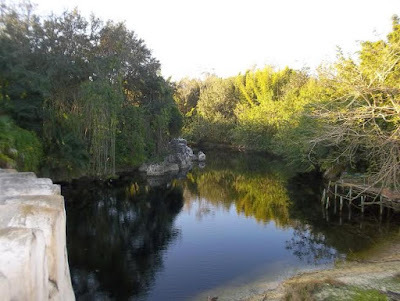 The Portuguese, the first to colonize the area, built a fort here to protect this water way from pirates and the remnants of that fort still exist, though in a different form with the construction of the Harambe Theater area. 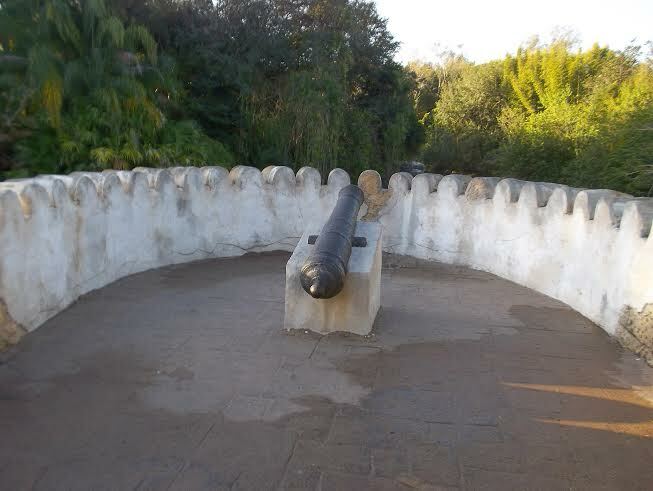 When this park first opened, there was still this old turret from the fort. From this turret, you could see life on the river banks. There were still some boats sitting on the bank, but much of the fishing fleet was, the story goes, out on the water. The beach was actually once a popular swimming spot but the currents had taken a turn for the worse and swimming was no longer allowed. In fact, guests to the park could not go down and see the beach. That is, unless you did the Wild Africa Trek, which went past here. 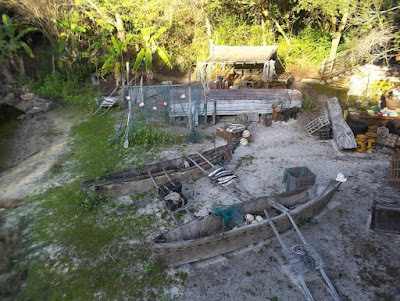 Before the construction of the Festival of the Lion King theater, this was where the trek took guests for "training." It was a a great way to see the details. A huge thanks to Safari Mike for providing this wonderful background and insight for us! Mike's blog Jambo Everyone is always the "go to" site for Animal Kingdom news and rumors. He can also be found on the ridiculously charming Radio Harambe podcast, available on iTunes.